Some of you may have noticed here in the USA that some stores have already begun to stock special Christmas items! Personally I much prefer to wait until nearer to December (or at least some colder weather!) before buying such gifts. However it is also a fact that if we want to send any special cards or small gifts to our ministry partners in Africa, we had better allow a good 6 weeks for them to get there even by airmail! I recently sent Pastor Sika a small tube of generic muscle rub cream and a bottle of regular aspirins (specially requested by him as neither is available in Togo!) and although their total value was under $5, it cost over $22 to ship them! It took the package almost a month to reach him. So once again I believe it might be best to send funds for Pastor Sika to buy some small Christmas gifts for each orphan locally in Lomé. However there’s no doubt that a personal expression of love is also much appreciated, as can be seen by the Kenyan children in this photo, recently sent to us by Mike. 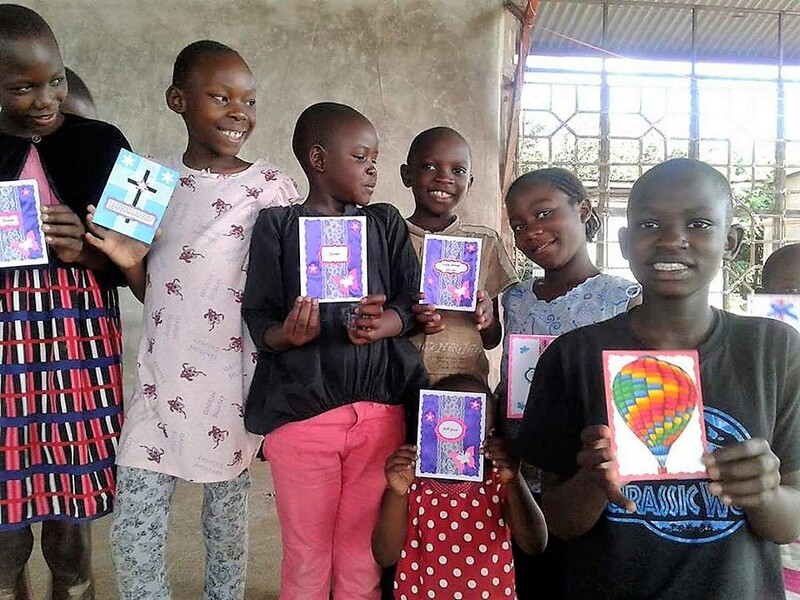 One of our ministry partners loves to make beautifully decorated greetings cards and sent a package of them to Mike who was able to distribute them to some of the local children he ministers to. If you would like to do something similar for Christmas to send to our African partners and their families, or the JP orphans and other children, just contact us and we’ll send you more details. We are glad we can share some good progress reports and pictures with you this month. 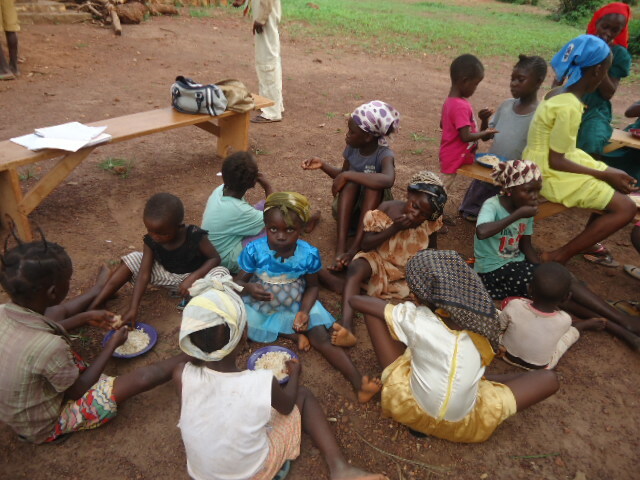 Pastor Sika in Togo recently sent these great pictures of progress at the Joseph Project Orphanage. The first one shows his brother, Beaugard, who runs the orphanage, with the orphans and their new school supplies. It is so great to know that they can all attend school again this year! PTL! He tells us that they were able to complete the roof on the new church building in the compound (2nd picture below), so that can now be used for services and other meetings. We continue to pray that God will send in funds to enable it to be made secure with walls, doors and windows. The 3rd photo shows the new bathroom and toilet block which is finally being completed – and no doubt, much appreciated! Pastor Honoré in C.A.R. 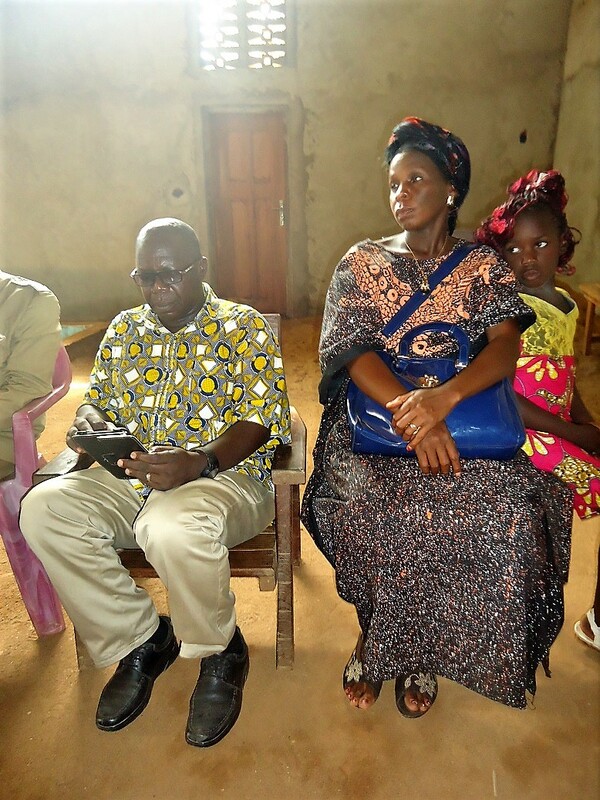 is shown here with his wife, Clarisse, and daughter Divine (9); they also have two teenage boys. Clarisse is also expecting another baby very soon, so we ask for prayers for a safe delivery with no complications, and a resulting healthy mother and baby. The situation continues to deteriorate in that nation with many different rebel groups vying for control and more people becoming refugees in some parts of the CAR. Pastor Honoré tells us that food is becoming scarce and expensive, with many prices of basic foods doubling, and the cost of living has recently risen to over double what it was not so long ago. Many people have lost all hope for the future. It is also very dangerous to be outdoors in the early morning or after dark, so traveling is very limited, yet he continues to make his priority training new believers to be strong in their faith and better able to overcome the hardships and difficulties in these literal End Times conditions. Pastor Honoré and Clarisse recently cooked a big meal to feed a lot of local children on the CEERCA ministry site. Apparently this is the third consecutive year of reduced harvests, so that also increases the shortage of food. There is much need for prayer for peace and for the government to become stabilized and govern the people better with less corruption. We pray especially for protection and provision for this precious family and those others involved in their ministry there. 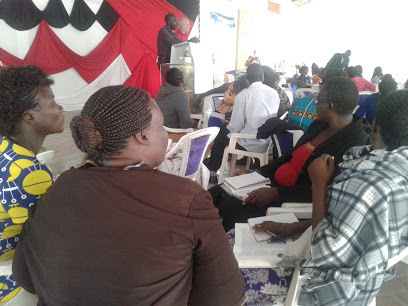 Michael in Kenya reports that the large training conference he helped organize for the British children’s ministry “Children Worldwide”, was a lot of work but a huge success. 136 children’s ministers attended from 83 different area churches! He has agreed to do follow up and give encouragement and spiritual help to these local children’s ministers. We pray that his enthusiasm and ministry gifts will bless many and enable the Gospel to reach hundreds more children in that region. As is so often the case, there is still very little financial support forthcoming for children’s ministry there, and Mike expresses his heartfelt thanks and appreciation for the monthly support we are able to send him (even though it averages only about $100 each month). We keep him in our prayers. 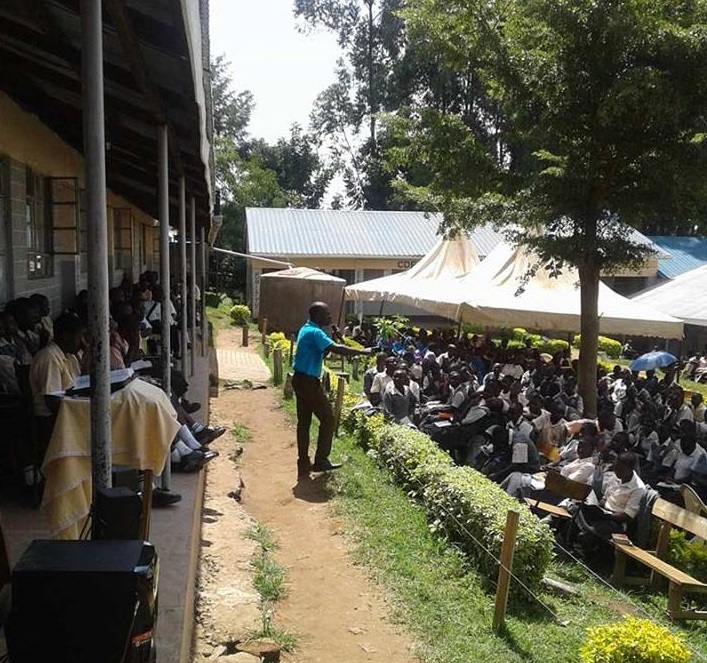 The 1st photo shows him with the speaker at the training conference and the 2nd shows him ministering at a local school.